The Cascade Tent is a canvas family tent that can be set up in just a few minutes. The Cascade is made out of 10.10oz marine canvas or 10.10oz flame retardant canvas. 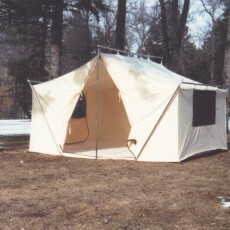 The Cascade Tent comes complete with all the frame work you will need. The frame is made out of a 1 1/4″ heavy walled aluminum tubing. The dimensions of The Cascade Tent are 12′ x 9′ with 5′ side walls. 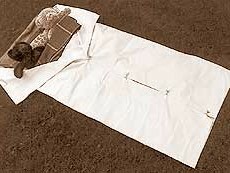 It comes with a sewn-in vinyl floor, two large screened windows and a zippered front door with a sewn-in screen door. There is plenty of room for 3-5 people. 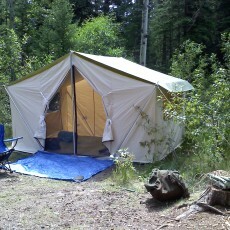 This is a great family camping tent.